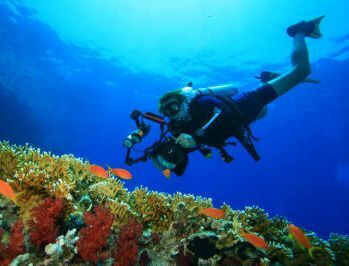 The following links are provided because they are of general interest to the scuba diving community. Please contact the webmaster if you would like additional links added or if you find that an existing link is broken. Advice and information for new and experienced photographers of the underwater environment. The main aims and objectives of the CDAA are to foster the development, advancement, promotion, mapping, education, exploration, conservation, safety and research of underwater caves and related features. Organisation dedicated to the return of the City of Adelaide from its current location on a slipway at Irvine in Scotland where it is currently under threat of demolition. The most recent newsletter can be read here. DiveLog Magazine is issued monthly and contains articles and other items of interest to all Scuba Divers. The current edition, and editions from the previous twelve months can be obtained for reading by selecting from the menu bar on the website. Established in 1976, MLSSA aims to foster the study of marine life, promote education and public awareness of all life in the sea and to encourage the conservation and protection of South Australia's unique and beautiful marine environment. Produce the bi-monthly Marine Life magazine, and have links to a number of aspects of the marine environment. OZDiver Magazine is a free bi-monthly online magazine that will cater for the whole scuba diving community all over the world and focus on the Australian Scuba Diving community. Reef Watch is an environmental monitoring program run by the community and coordinated by the Conservation Council of South Australia. Scuba Divers Federation of SA Inc. The Scuba Divers Federation of SA is the peak body in South Australia representing all recreational scuba divers. Download the latest SDF News sheet from here. Download the latest SDF Bulletin from here. This FREE bi-monthly web based magazine is a real treat for underwater photographers.